So with so many LMR (http://www.LetsMakeRobots.com) enthusiasts building, buying, printing, or renting 3D printers I figured I’d jump on the bandwagon and go along for the ride. I can really see the joy in being able to just print cool things off ThingiVerse much less the thought of designing some little mount, feature, cover or whatever for a robot you may be building. 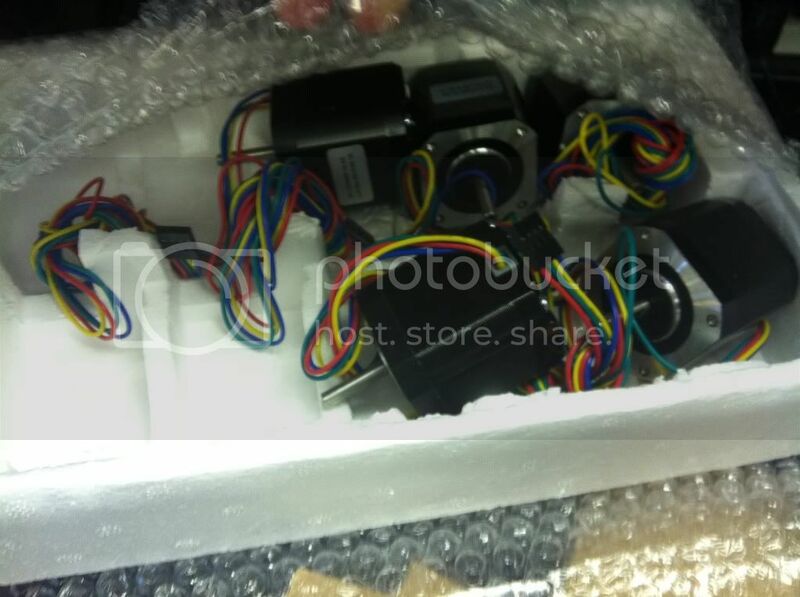 Having watched those who have built printers in the public eye like Hoff70, DanM, (others?) and seeing the vast list of options, printers, versions of the same printer, options on top of options for existing printers, and all the other confusing stuff that swirls around the 3D print world, I was quite leery of getting my feet wet, much less diving in headfirst and risk breaking my neck… or pocket book. However, after a while of reading, watching, and listening to all the builders like Jinx, TinHead, and others and reading through a couple build manuals online it seems to have slowly come together into something I can finally being to grasp. 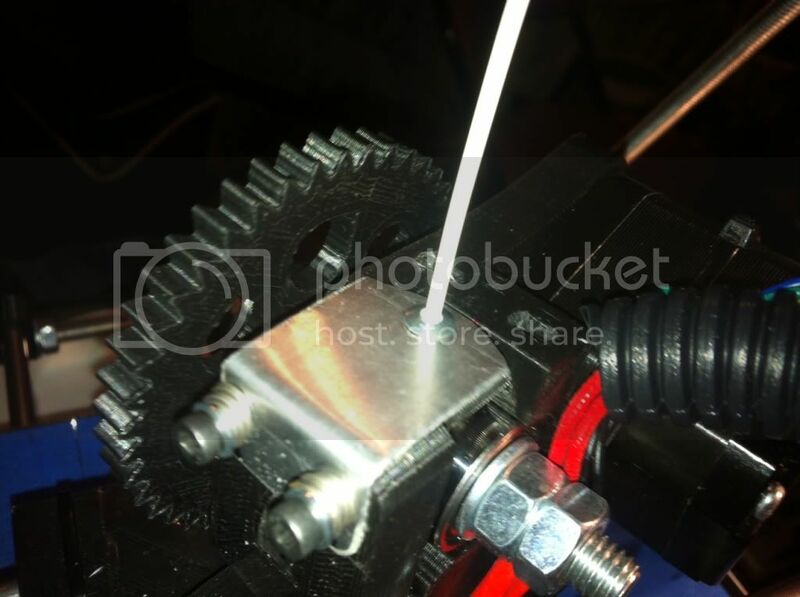 Sure, the basics are simple, print head (and/or bed) moves in X/Y/Z manner while print head drops a precise amount of melted plastic or other material into a particular shape. Easy enough.. but then you start hearing GCode, PronterFace, Ramps, Sanguinololu, Skeinforge, PrintRun, send.py, and a million other speciality pieces of the process that at least I had no clue what they were or what they were used for. Fortunately the LMR shoutbox is quite often full of 3D friendly people and just watching the conversations there, AND using the Internet for everything they said I didn’t understand I started to see that I could eventually make some sense of it all. At least enough to put something together and get started. Of course, when you start looking you’ll find there are LOADS of different printers, versions, and obviously price ranges. For my first build I really wanted to get something large enough I’d be happy with but Uncomplicated enough that I could (hopefully) get it working and tuned well enough for quality prints. 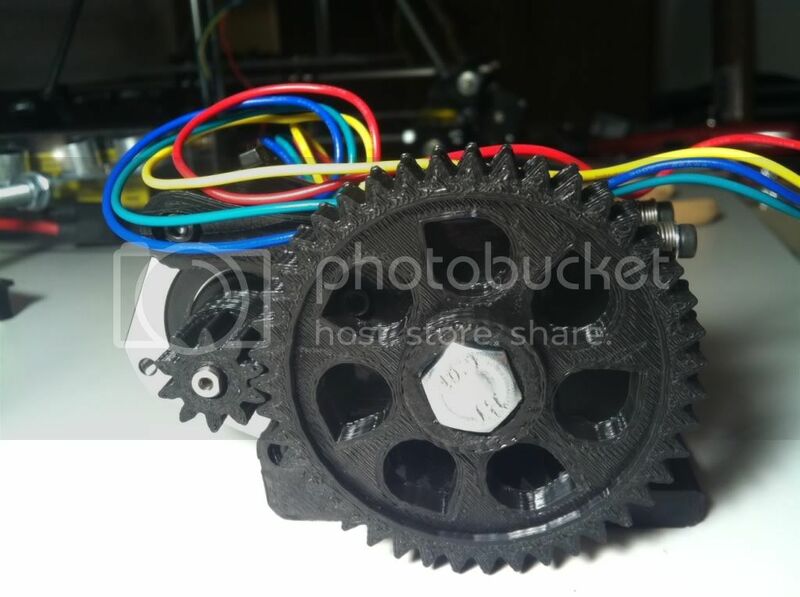 I looked a few options from the EventorBot, that looks nice and simple but apparently it’s kickstarter founder is no longer answering questions at this time, a Prusa Mendal Max that looks nice and sturdy but requires more specialized metal parts, a Rostock with it’s cool movements but circular print area, and a few others. 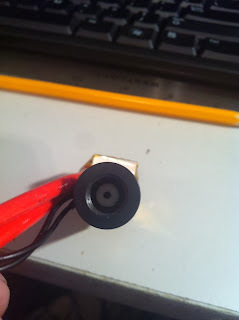 After asking around in the LMR shoutbox again most were saying for simplicity sake and easy tuning go with a Prusa model so I narrowed down on the RepRap site for options. 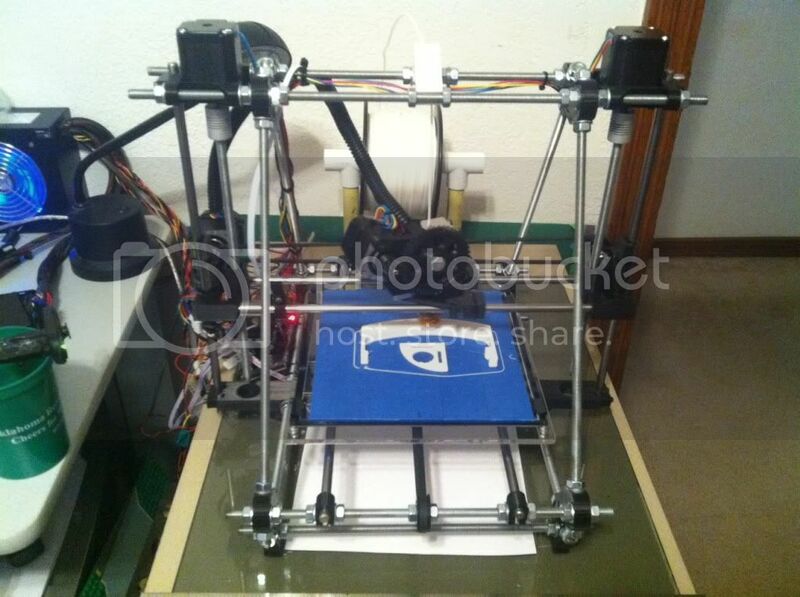 After checking out the options there the Prusa Mendel I2 seemed to be the most popular and still should provide a good platform. It was actually kind of difficult making the final decision on which direction to go, I guess due to the time and money that will be invested, but likely just my uncertainty of what it’s all about. 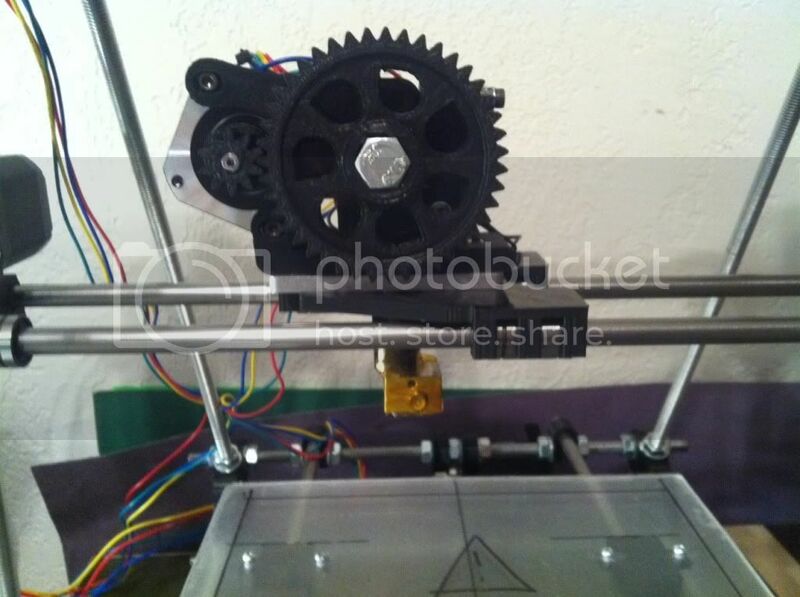 Having made the decision to go with the Prusa Mendel i2 I dug head long into what options there were. 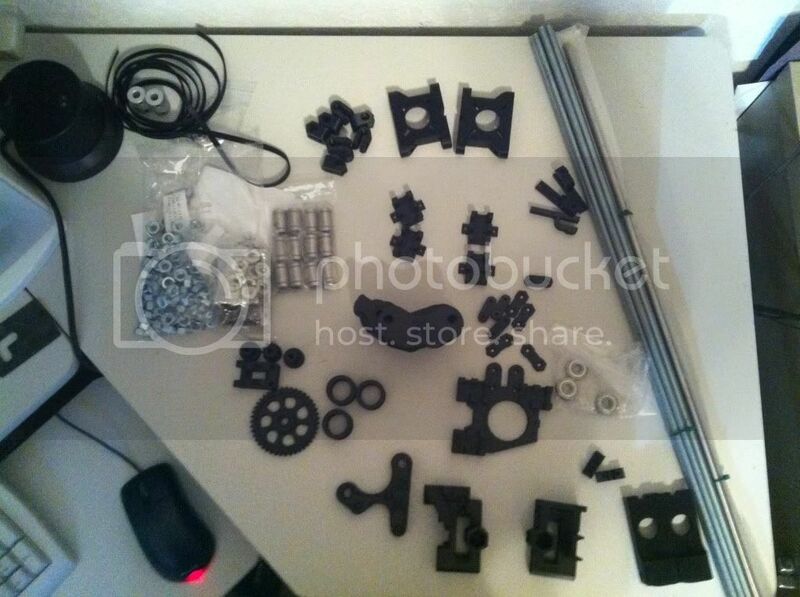 Buy a kit of all the parts? Buy a pre-assembled one? Source out the parts separately? Or what the heck else. Although very likely buying a pre-assembled one or even a full kit may be the best bang for your buck, I decided to piece my own together from various sources and see if I can save any money and still make it work. Plus the treasure hunt for parts seemed to appeal to me anyhow forcing me to learn more about what are the best pieces to use or at least the most popular. It also lets me break the whole thing down in phases allowing it to smoothly fit into my budget. After reading through more assembly manuals I found online I finally got a basic parts group figured out and dropped it all in a spreadsheet to review options, prices, etc. I really ended up just breaking it up into Rods, bearings, metric hardware, printed parts, extruder, hot end, electronics, power supply, steppers and pretty much “other” with estimated prices on them all. I also had some enlightening discussions with other printer owners about going 8mm metric or keeping it easier to get parts by using 5/16 SAE rods. Although I could save a few bucks on the 5/16 stock, I decided for a first timer I better stay the course and stick with a known so I’m going with the metric setup. So armed with a list and estimated prices I headed online to eBay, MakerFarm, SainSmart and others planning out my purchase route. 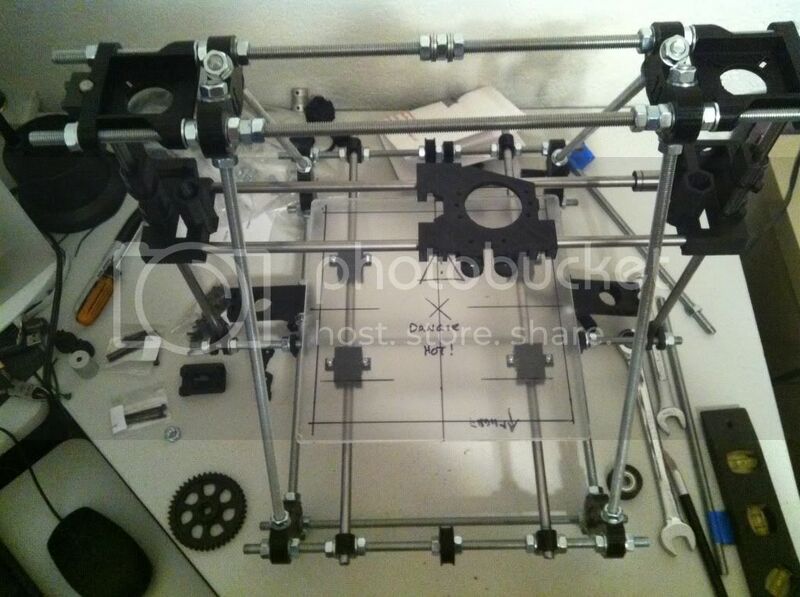 The first steps are getting the basic frame built so I looked through options for rods, metric hardware, printed parts, and linear bearings. I also ran across some 5mm x 8mm couplers that looked like a better option that printed and picked them up as well as some metal stepper gears and GT2 belts. The rods, printed parts, and hardware arrived I spent an afternoon assembling it all. I chose an un-cut rod kit so quite a bit of time was measuring and cutting threaded and smooth rods to the right lengths. I also polished the smooth rods with some 1000 grit wet sand paper hoping to get things as smooth as possible. Note in the pic above the carriage is on backwards - fixed it right after that pic. As noted I broke the project down into three phases of which the first has been spent. The next phase will be for Steppers, Hot end and mount, skate bearings, Hobbed bolt, bed plates, etc and other misc items. After that will be the final electronics which I believe I am going with a SainSmart kit to keep it all together using Ramps 1.4, A4988 driver, Mega2560, end stop switches, heated bed, cooling fan, and a nice large LCD / Controller setup. 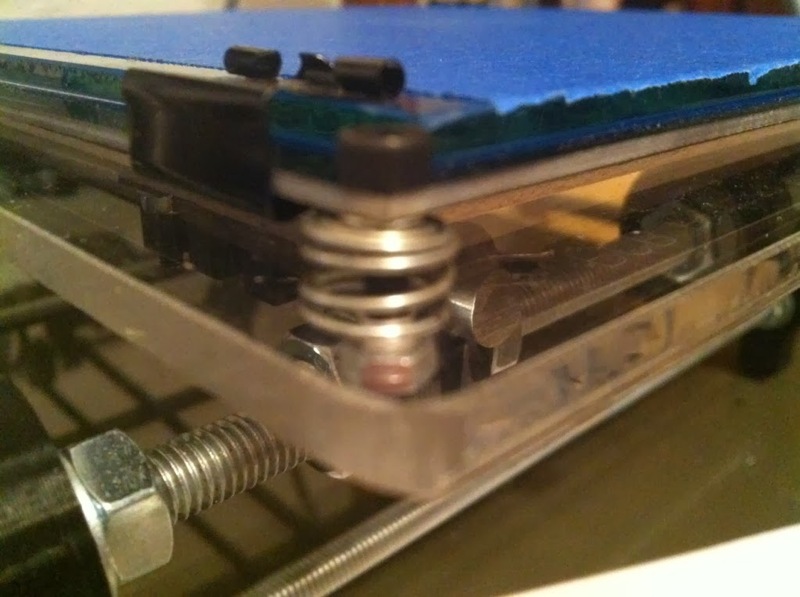 The LCD/Controller should have an SD card as well for future computerless prints. As noted before, there are many different hardware configurations but the most confusing part for me was the software options out there. Everything from what CAD app to use to create or view parts to the controller versions and PC interfaces are all foreign languages at this time. I ended up finding this site to guide me through it all for the first try. 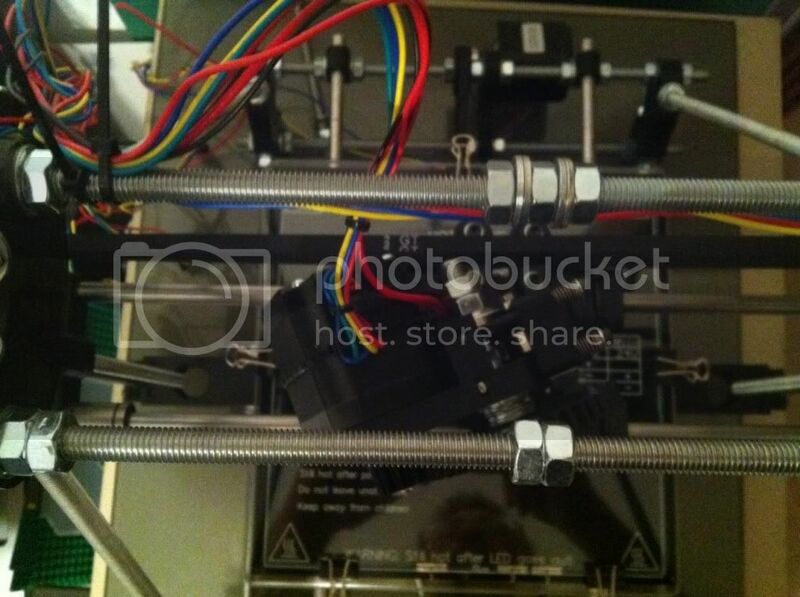 http://www.nextdayreprap.co.uk/reprap-downloads/ I liked their walk through from the very basics of downloads through install and testing. I know there are some newer versions of the pieces out there but for now I plan on getting it working using their guidelines and then worry about possible version upgrades if warranted. 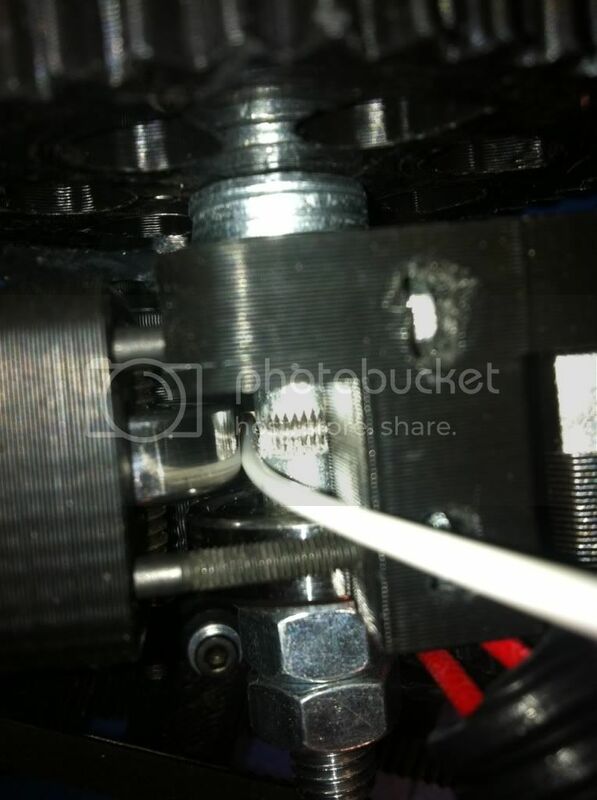 Of course browsing around ThingiVerse is not necessarily a good thing to do, even when you do NOT have a printer yet. 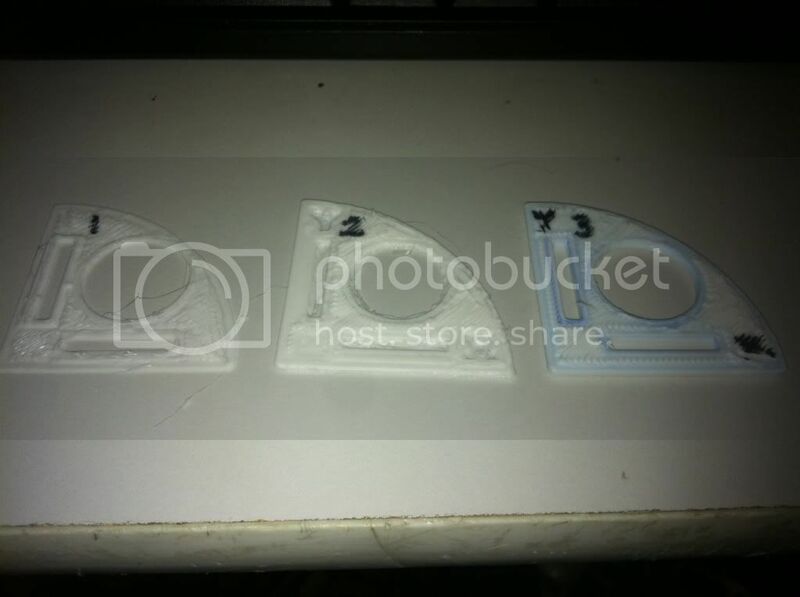 I’ve already found several “upgrade” pieces I’d like to print for the printer itself once I get it working and tuned up. 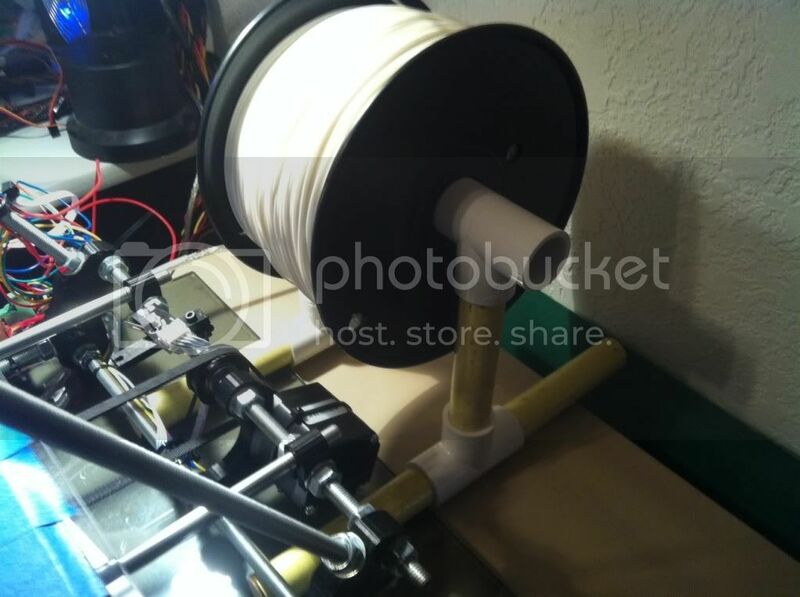 Things like a simple spool holder, filament guide, filament dust filter, bracing, fan holders, integrated Z motor mounts, etc. along with many cool robot pieces like Basile’s cool wheels, pan/tilt parts, and of course the BoB robot. Print, print, print! Of course I’ll have to print a few hundred small cubes along the way to get things working right. It may take me a few months to get it hacked altogether and moving around but I’ll keep plugging along and posting updates as the project moves forward, or backwards.